Hello! I have some lovely things to show you today, so I will get straight into it seeing as I haven’t posted properly in some time. I was very happy to hear that there was a Vintage Fair to be held in Preston where I live, and being slightly obsessed with all things Vintage you can imagine my excitement! 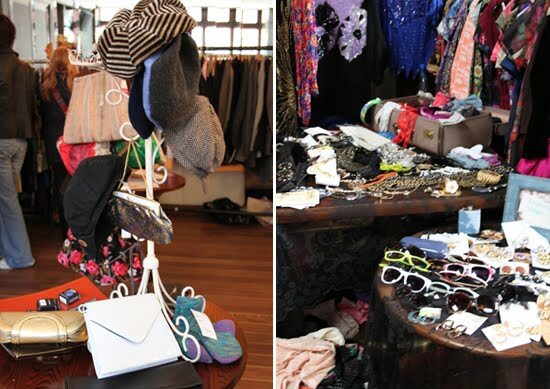 In my City, there are no longer any specialist Vintage stores, due to lack of donations and lack of custom I guess, so I struggle finding anything really special with only a Flea market and a couple of charity shops to root through. So yesterday I went into town for a spot of shopping, and stopped off at one of my favourite bars, Fives, where Not Just Vintage UK were holding a fabulous fair of Vintage fashions. I met the organiser, Andrea, who had some gorgeous stock available to buy from her online shop, Imogen’s Powder Room. From here I bought three beautiful scarves for a total of just £5.00! I also spied a few dresses that I fell in love with just before we left later on, but decided to be sensible! I went on upstairs to a room full to bursting with more beautiful stalls offering clothes, jewellery and artwork, and was immediately drawn to the lovely Sabina’s stall, Rehaberdashery. Sabina had some gorgeous stock, including plenty of sequinned dresses, florals and pretty jewellery. From here I picked up this lovely reworked Laura Ashley dress for just £10.00, which I wore today. It fits like a glove and the colours are so perfect for Autumn. I adore the print and the blue edging at the neck and sleeves. I also bought a little woven bracelet for £3.00 from her stall. My favourite stall that I visited though, was this one, selling vintage and handmade jewellery. Everything had such a girly, whimsical feel to it. The pieces on the left of the table are by a company called Tallulah Rose, and on the ones on the right are from Laura Loves Boutique. I chose this lovely necklace from Laura Loves which has an old image of Peter Rabbit trapped inside a cameo style pendant. This was £12.00 and I love it so much! 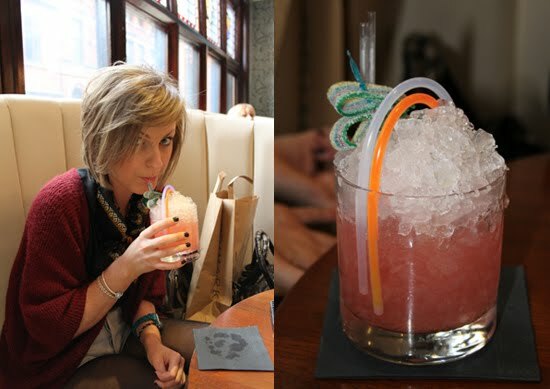 To finish a hard day of shopping off, I ventured to the bar in Fives and ordered my favourite cocktail, a Rainbow Road. A perfect end to a lovely afternoon! If you want to visit one of Not Just Vintage UK’s next events, check out their site for upcoming details. The next event to be held in Preston, again at Fives, is the Independent Designer and Fairtrade Fair on Saturday 16th October. If you’re not in Preston, Sabina from Rehaberdashery is organising the Sutton Vintage And Arts Fair to be held at Sutton Coldfield Town Hall in Birmingham on Sunday 17th October. Many stalls will be there including Imogen’s Powder Room, so make sure you get yourself there if you can! The peter rabbit necklace is so cute. We want one! Love this! Feeling the need to go vintage shopping now. wow-ee I wish there were more fairs like this about! I sell vintage stuff and always have so much fun doing it and meeting like minded people, its just a struggle to get the right kind of places to sell. I have to say, I adore your blog. I check it out all the time! I promise to get better at commenting! 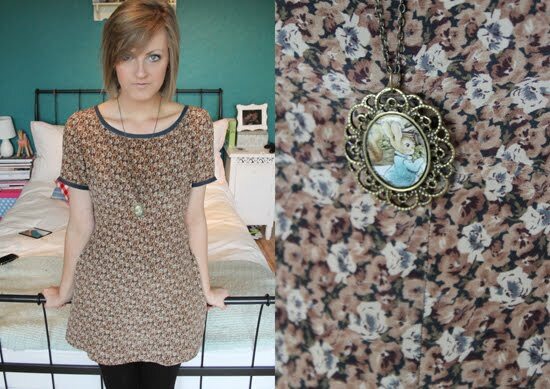 Love LOVE this entry, the Peter Rabbit necklace is so cute! Love that whole outfit…what a gorgeous little fair! Hope you're well doll xxxx. Wow that dress is gorgeous!! What a find! Hey … how come I didn't know about this great blog!? I'm Amanda (not Andrea – it's okay) who runs the event. Thanks for speaking so highly of us. Laura Loves will be there! Hi Claire, thank you so much again for your review of my Pete Rabbit necklace, i really struggled to part with that one it was one of my favourites. I have just started my own blog http://lauralovesboutique.blogspot.co.uk/ and I now have a website http://www.lauralovesboutique.com. You blog is fab by the way, hopefully mine will be half as good as yours as I get the hang of it!